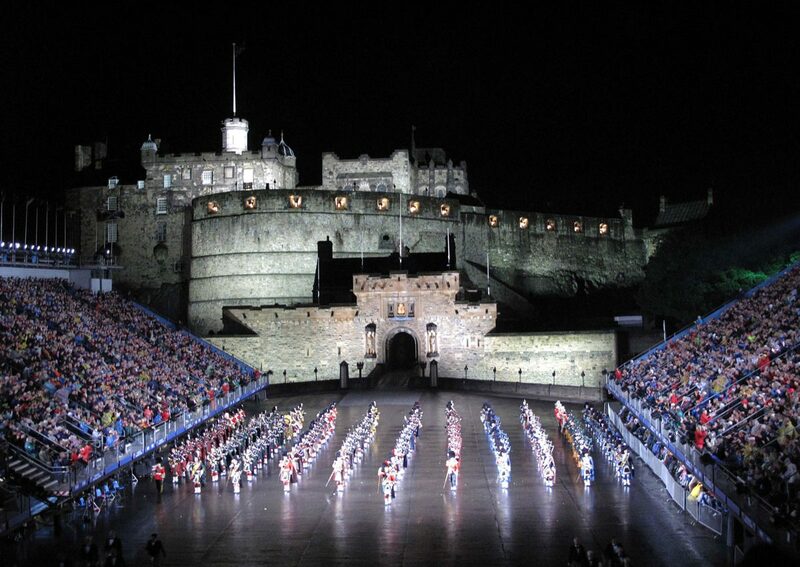 Edinburgh is the most visited city in the UK after London. With so many things to see and do, people from far and wide ignore the weather and come to enjoy its history, culture, festivals, and more. Sitting amongst volcanic crags near to the Firth of Forth, Scotland’s capital isn’t just a city of political and financial institutions, but also a city of art and architecture, with the medieval Old Town and Georgian New Town making it onto UNESCO’s World Heritage list. Although Edinburgh has a port at Leith, industry never played such an important role in the same way as it did for Glasgow, its larger neighbour, but its grey stone tenement buildings still became polluted, earning it the nickname of ‘Auld Reekie’ (Old Smokey). The Closes, Wynds, and Alleyways of these high grey tenement buildings still make a great backdrop for the numerous Ghost Tours that are on offer. These tours will take you underground or around graveyards where people like Burke and Hare ran their business. In contrast, the city has some great open spaces like Princes St Gardens, Calton Hill and Arthur’s Seat, all of which can be a great antidote to sightseeing along The Royal Mile, shopping in Princes St, or even the excesses of the Edinburgh Festival. Things to see and do aren’t confined to the city boundaries either. There are four unitary authorities that make up the Lothian region, of which the City of Edinburgh is one. The other three are Midlothian, West Lothian and East Lothian. Places like Rosslyn Chapel, Linlithgow and North Berwick are all within easy reach of the city centre – and if that’s still not enough, Glasgow, Stirling and Fife are all comfortable day trips by train. It’s no wonder Edinburgh has so many visitors!